Color distracts when products have little to add. You'd expect two of the world's powerhouse brands to be more imaginative when it comes to product extensions. But within a month of each other Nike's Fuelband SE and Apple's iPhone 5C depended on the same cosmetic element to try to fan the flames of consumer demand: color. Both companies have fallen flat. Partly they're victims of their own success. We expect so much from these brands because they've trained us to expect greatness. Separately Nike and Apple have an enviable repeated history for innovating in their respective categories. They even have achieved it in partnership, through Nike +. Which is why their recent introductions are disappointing. The accompanying functionality tweaks were exactly that: incremental and more focused on correcting earlier issues than deepening experience value. In the case of the iPhone 5C, the tightly controlled approach to product design that Apple is known for is extended to color. A narrow range of options seems positively out-of-step with the times. Contrast it with the vitality from Motorola moto phone whose customization options for both handset and earphones are a celebration of expression and individuality. Beyond the tactic of using color to jazz up a product with no more news the marketing too falls flat. 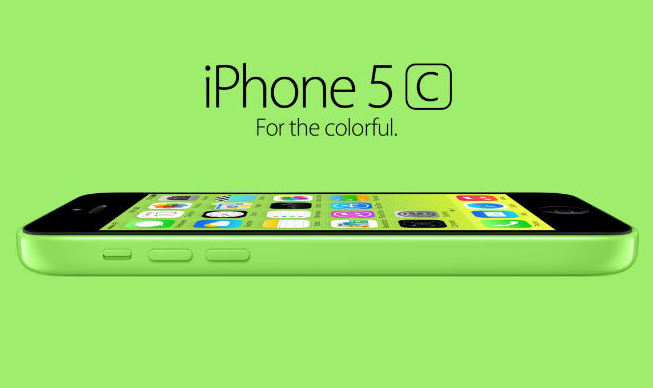 The device of a colored phone on a colored background is shockingly lacking in imagination. Compare this with the bold iconic silhouettes of iPhone advertising that launched the product. This is a pale and far poorer attempt.